We have our suitcase packed so perfectly that there is not even so much as a gap between all your items in there. Then you realize you need to bring your grooming products and shaving kit, so you dump them in a plastic shopping bag or Ziplock baggies and put them right on top of your clothes. It makes no sense since we have at our disposal the best mens dopp bags to travel with our grooming supplies. 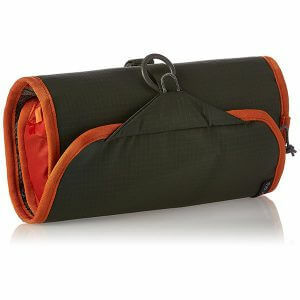 A good toiletry bag can make or break a vacation, work or camping trip. You can organize your toiletries and other things in such a way that it really is indispensable. The best mens dopp bags can also be stylish and accentuate your personal style. If you need reviews on the best mens dopp bags, then keep scrolling and see our picks for the top rated bags. If you don’t have time for the full reviews then take a glance at our convenient comparison table. 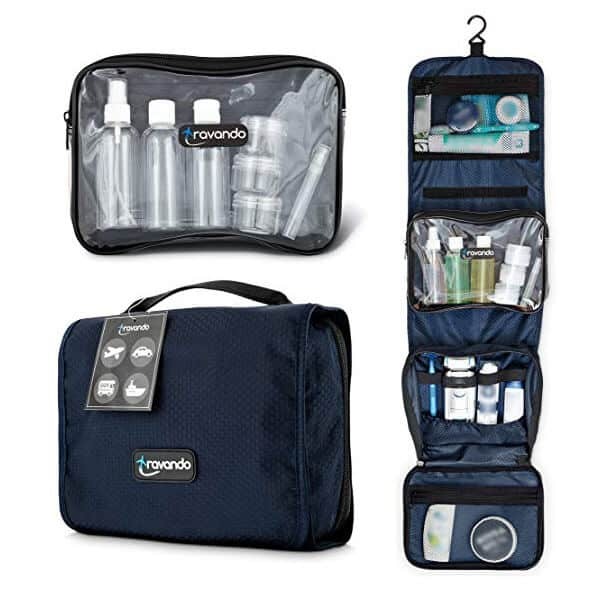 TRAVANDO Hanging Toiletry Bag "FLEXI"
9.3" x 6.7" x 2"
To get the best mens dopp bags that’s right for you, you need to evaluate what your needs are. If you go on frequent business trips that only last a couple of days then there is the ideal travel kit for that. If you love camping but need to travel light, then you won’t want the same type of toiletries bag as if you are backpacking for 6 months. Not all best mens dopp bags are for travel. 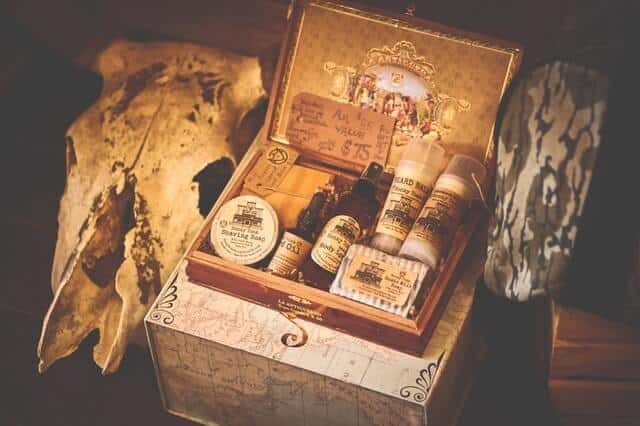 In some cases you may have limited space at home and just like having your own dedicated place for all of your grooming gear. The married men among us know exactly how handy a space saving Dopp bag is when you share a bathroom! Since your Dopp bag will likely spend a lot of time in a wet or humid environment, it is important to get the right kind of material. Waterproof dopp bags can be made with various different materials. Waxed canvas Dopp bags are very popular as they can really effectively keep out any moisture. They are water resistant and lets the water bead up and roll off the surface. They’re also pretty cool looking as they have a rustic many look to them. The material actually looks better as time goes on as it will end up with a nice patina that is always changing. Canvas is quite durable and will last a lifetime. Every couple of years they may need to be re-waxed, though, depending on how often it was used. Leather Dopp bags are stylish and elegant. Many leather toiletry bags are soft and pliable to fit into just about any space you need it to. If you do a lot of business travel, then you want to look professional and a leather Dopp kit can definitely achieve that. Nylon Dopp bags are very lightweight so if you are traveling with a backpack or camping then these are ideal. 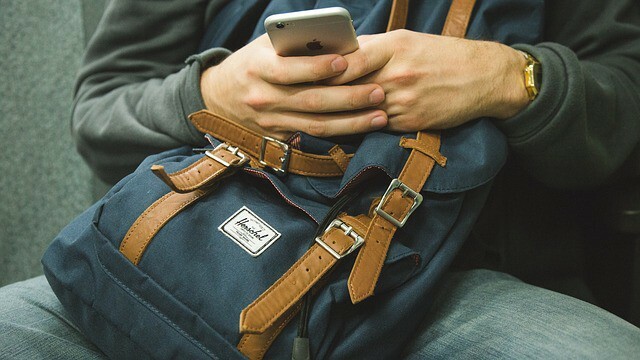 They aren’t all waterproof or water resistant, however, so make sure you pay attention to that before you buy if you feel like your bag will often be getting wet. This kind of comes down to personality. Some guys like just one compartment where you unzip the top and everything is right there. No inside pockets or compartments. 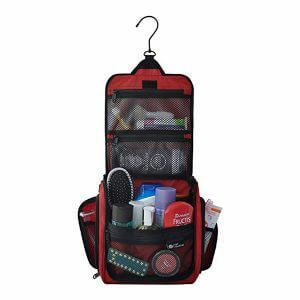 Others like to have a myriad of pockets for specific items and a system to stay organized. People that travel often or are away for long periods of time generally go for the ones with loads of compartments. Understand how you like to organize yourself so you get the right kind of travel bag and get one of the best mens dopp bags suitable for you. How much stuff you need to take with your will determine how big the bag is. You don’t want too much space that doesn’t get filled and you don’t want not enough. Some of the best mens dopp bags I will review here are deceptively big. In other words, they won’t take up much space in your suitcase or backpack but you will still manage to fit all your grooming products and tools with you. The different styles you can get are folding, where the profile is very slim. Usually these will be vertical Dopp bags that essentially unroll as you open them. Hanging ones will allow you to use the Dopp bag as a sort of makeshift shelf. It opens up with the different compartments sectioned in a way that everything is within reach. Then, flat ones fold up and are very narrow to lay snugly on top of your packed items in your suitcase or carry on. For a real throwback experience, this genuine leather Dopp bag will remind you of the days when your grandparents used to travel. It has a timeless elegance that makes it a very stylish Dopp kit for travel or to simply have at home. A vintage mahogany leather exterior will accentuate your bathroom counter showing your guests that you have a certain style. As far as function, it works very well. Think of the old movies where a doctor would make a house call and open up his medicine bag. After you unzip it, the top opens like a hinge so it expands on either side for easy access to everything you’ve packed. It actually stays open when you open it making it easier to grab what you need. The interior has zippered pouches on the sides to keep your smaller items in place and easy to reach. For an extra elegant touch, the lining is a silky material that feels soft and smooth to the touch. The underside is made with a PU leather to complete the look while adding some durability since it will likely be getting wet underneath. It isn’t exactly waterproof as sustained soakings will likely ruin the bag. But it isn’t like if it gets splashed it will get damaged or leak. You simply can’t keep it in the shower. Zippers are made with a corrosion free material to remain snag free and working smoothly. It is long enough to fit a lengthwise toothbrush or a brush, and wide enough to get all of your shaving gear in there. Even an aerosol can of shaving cream. At 12 ounces, it is even in what I would consider lightweight territory. Leather bags are usually heavier, so this won’t weigh you down too much and still allowing you to express your style. This vertical drop kit is like having a traveling cabinet for all of your toiletries and grooming needs. 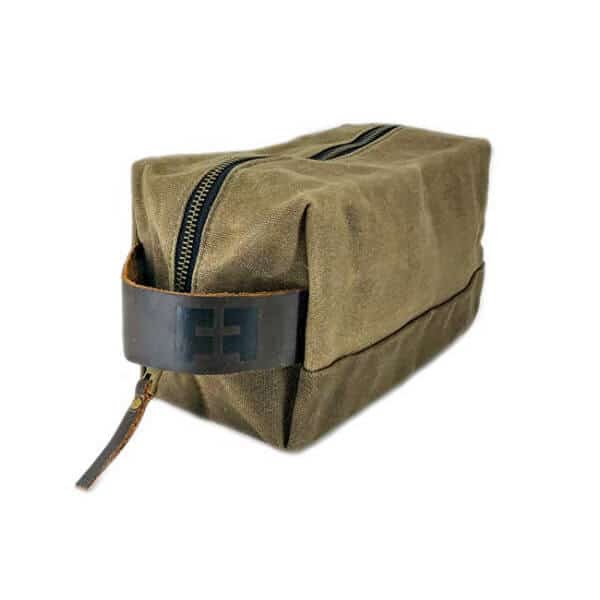 This is definitely our top pick for the best mens dopp bags. You can easily hang it from anywhere and position it however you like thanks to the swivel hook. The design makes it so that it can also be stood up if you want to keep it on your counter top. It is deceptively big as it takes up very little space but can still hold a lot of your goods. Inside are three compartments. As it hangs, there are two top mesh pocket compartments and then the bottom section is the main one. The top two are zippered with YKK easy open zippers. The mesh allows you to see what is inside at a glance. You could put your creams and gels easily in these pockets. The bottom section is open and very wide. This is deep and handy to put your shaving cream, shaving brush deodorant, etc. If you have a wet shave kit, you could easily fit the whole thing in there, including the bowl as long as you don’t need it to lay flat. On the inside of the main compartment are three mesh sections with an elastic top. The outside of the main section has another zippered mesh pocket. The sides of the bag have two enclosed zipped pockets. The exterior and interior are made with water resistant, lightweight nylon. It can effectively keep water out. In the case of a spill, it will also keep liquids inside from seeping out into your suitcase or backpack. When it is all folded up it is easy to carry thanks to a handle on the top. The extra large size and capacity makes it an ideal travelling kit for long trips as you can literally fit everything you need in there. Definitely one of the best mens dopp bags out there! As a vertical Dopp kit, when it is unfolded it is 20 inches long, if you don’t count the hook. Sometimes when I am looking for a product for men, it has to pass the “Would Steve McQueen use this?” test first before it can be considered as one of the best mens dopp bags. If I could see him sporting the product then it makes the cut in my book. And I could definitely see him using this rugged, classic looking waxed canvas Dopp bag! The color is a dark olive green that has a timeless style to it. The leather accents of the handle and zip pull have a nice patina when new that will only look better as they age. As far as function, it is a small Dopp bag that can fit more than you think it will. It’s like a clown car for toiletries. Stuff just keeps coming out of it just when you think there couldn’t possibly hold any more gear. There is one inside pocket with a zipper to organize the little items like a nail clipper, small scissors or pack of double edge razors. In essence, it is the type of Dopp bag for guys that like to have everything in one compartment instead of organizing everything into their own pockets. The inside is made of a soft wool felt with a blood red color that also looks very cool. The felt itself is not waterproof and a leak may discolor it. Underneath the felt, however, is red waxed cotton canvas that is waterproof, so leaks will stay inside the bag. I like the look of the metal zipper, but was concerned that it might snag or get corroded, but luckily it is very smooth to open and close. Be warned, though, that this is not a lightweight bag at all. 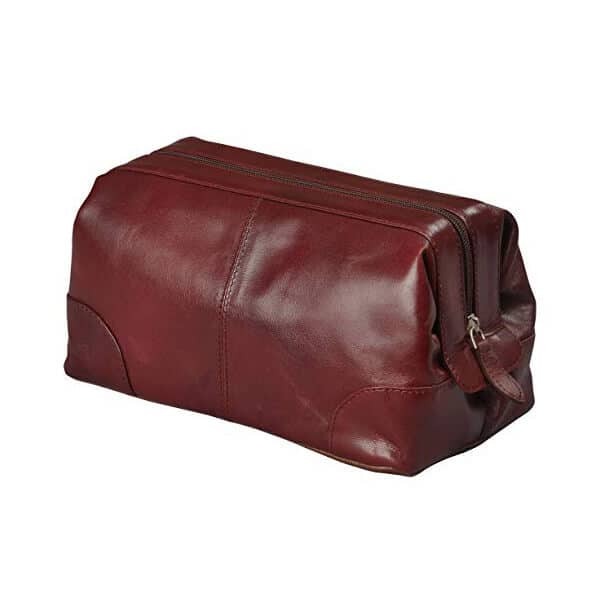 It is a pound and a half so if you need to worry about the weight of your luggage, then this needs to count in your way of selecting what best mens dopp bags will be perfect for you. When size and weight is important, but so is taking everything you need, there is this best travel dopp kit among other best mens dopp bags with compartments galore. At a little over a half pound when empty, it is very lightweight. The slim profile makes it the best flat Dopp kit for travel as it folds up so nicely to lay right in a suitcase and not take up much space. It has a sturdy hook so it can hang from a towel rack or bunk in a hostel, for example. One of the compartments is a removable, dedicated travel bottle pocket. It has a clear plastic cover so it reveals the contents at a glance. It even comes with the bottles. You get a soap dispenser (3.38 oz), 2 lotion dispensers (3.38 oz each), 3 small lotion jars (1 oz each) and an atomizer spray bottle (.025 oz). All of them are TSA sized for no hassles at security. There are 4 compartments total. Once it is open and hanging, the top pocket is mesh with a plastic zipper. Then there is the aforementioned removable pocket. The third compartment is open and has elastic bands to hold things like deodorant or an electric trimmer, etc. The last compartment at the bottom is the same as the first, a mesh pocket with plastic zipper. There are no outside pockets, so everything is available as soon as you unzip and unroll it to be grabbed in a flash. No messing around with closed pockets trying to remember where you put the toothbrush, for instance. This men’s travel Dopp kit is designed in Germany, so you know it is functional above all due to the impeccable engineering. It isn’t waterproof, but the polyester exterior and interior can handle a splash or two without leaking. If you are backpacking or camping, then the weight of your gear is essential. Ounces count, so the 4.5 ounces of this makes it the best camping Dopp kit for the outdoorsy type than any other best mens dopp bags. It can even be used as a great Dopp bag for the gym since it rolls up to such a small size. When it is rolled it is around 3 inches thick, ideal for any duffel bag or backpack. Out in the woods, it is nice to have a durable material like ripstop nylon to prevent it from tearing in the event it gets snagged. It is even water resistant inside and out. A nice touch is the small mirror on the inside so you can still look good for the lady campers you might encounter! You may be tempted to use this as a travel Dopp kit since it is so small and weighs only ounces, but truth be told, it is only big enough for the essentials. Since you don’t need much when camping it should give more than enough room, but on a trip of more than a few days it might not fit everything you need. When it is opened up it is 15 inches long with three pockets. The top and middle pockets are mesh with a bit of extra material to expand if they are overfilled. Then there is a small zipper compartment that is really small. Only big enough to put some nail clippers or razor cartridges, for example. Then the bottom compartment is an enclosed pocket for the bulier items. A handy hook can let this Dopp bag hang from just about anything like a branch or laundry line. When it is rolled up, it is secured with a strap to really keep it tightly bundled. When traveling, anything that can make the process easier and trouble free comes very much appreciated. 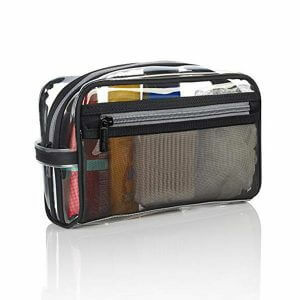 Having a clear Dopp bag that can be shown to TSA making their job easier will get you through security that much faster. It is a small Dopp bag for travel but it can fit quite a bit inside. The main compartment is good for all the bulky stuff, while the side mesh pocket can handle some slim, small items. Just make sure if you use it in the shower that these items can get wet since the mesh obviously will allow water in. Since it is made of vinyl, it is totally waterproof which makes it an ideal gym shower Dopp bag for guys that need it post workout. It makes for the best shaving kit for the gym since it can take a soaking. You won’t be able to pack everything you need for weeks of travel, but it is a good way to travel since you can see everything without needing to rifle through pockets trying to find things. It has a small handle, that unfortunately is not much use if you need to hang it and there isn’t a hook available. There isn’t much more to say about this as it is quite simple and straightforward. 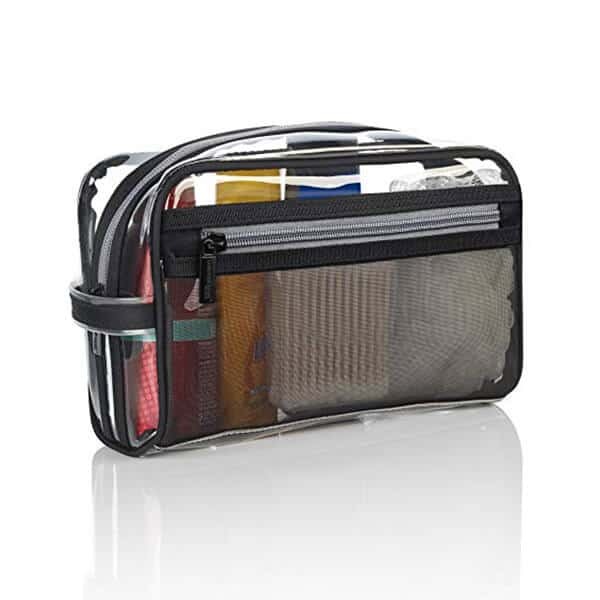 If you need a clear Dopp bag for whatever reason, then this should fit the bill. A good toiletries bag is often an afterthought and that should change. Having a convenient and stylish way to keep your shaving kit or other grooming gear handy and organized makes your life so much easier. You should even consider having more than one. Keep on in your bathroom as your permanent home for your sundries. Another for business travel or extended trips. And, yet another for when you are out backpacking, hiking or camping. The nice thing about these best mens dopp bags is that you can put all kinds of things in them for storage beyond just your hair and skin care items.